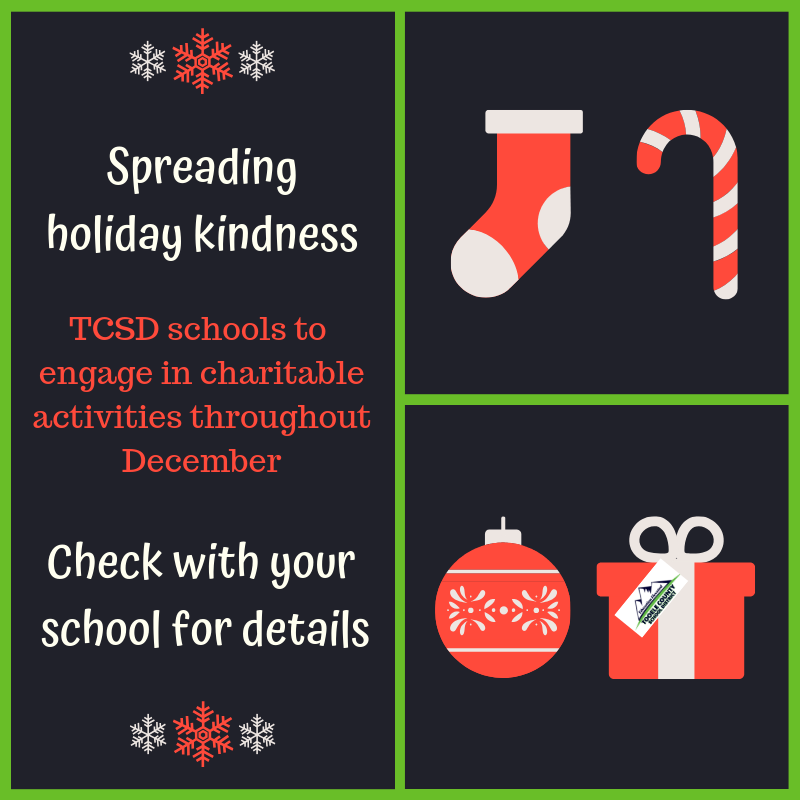 Check with your school for specific details. 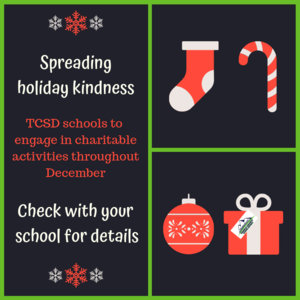 Tooele High – Each year, school clubs and sports teams sponsor needy families in the community. Students provide the families presents for the children and a decorated Christmas tree. For Christmas dinner, each family is also given a box of food with a ham, provided by the Tooele Food Bank. The public can see the trees December 3rd-5th, 5-8 p.m. in the Tooele High commons area. The sponsorship of local businesses help make this event possible. Additional donations are welcome.